If you’re in need of a Dunsborough iPhone Repair then come in to FixBox Phone Repairs Dunsborough. We provide the absolute best phone repair service in the South West. We achieve this through experienced and friendly service, low prices, high quality parts and fast turnarounds. We also have two convenient locations in the heart of both Margaret River and Dunsborough. 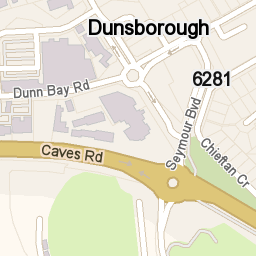 Find us in our Dunsborough store at 9A/42 Dunn Bay Road, Dunsborough, in the Naturaliste Forum. Otherwise, if you’re closer to Margaret River you can find us in the Settlers Arcade next to Target and Squid Lips at 116-118 Bussell Highway, Margaret River. Receiving a quality Dunsborough iPhone Repair has never been easier. Most phone repairs only take 20 minutes. We also provide Eftpos and credit card facilities to our customers, as well as a free Wifi and phone charging service. Our Dunsborough iPhone Repair service includes repairs to batteries, charging ports, home buttons, power buttons, volume buttons, touch screens, LCD screens, software, water damage, cameras, speakers and much more. If it can be fixed then FixBox Phone Repairs can fix it! Here at FixBox Phone Repairs Dunsborough, we also fix tablets such as iPads and Mini iPads, as well as other brands of phones and tablets. These brands include, but are not limited to, Samsung, HTC, Sony, LG, Nokia, Google, Microsoft and more. So, we’re more than just a Dunsborough iPhone Repair service! FixBox Phone Repairs Dunsborough will not just match, but we’ll beat any advertised Dunsborough iPhone Repair price. We’re confident in our ability to keep costs low, service up and still provide a fast, reliable and pleasant Dunsborough iPhone repair service. If you’d like a free quote or just chasing some advice on your phone or tablet, then drop in or call us on 0439920399.